DOWNLOAD: Michael Bucher - "Don't Forget About Me"
Cherokee artist Michael Bucher comes from the strong tradition of making folk roots music as a means for a message. Michael's work speaks to defending Sacred Sites, combating the high rates of Native teen suicide and sharing Cherokee legends. His passion for these issues imbues his music with an urgency and heartfelt emotion that is inescapable to the listener. 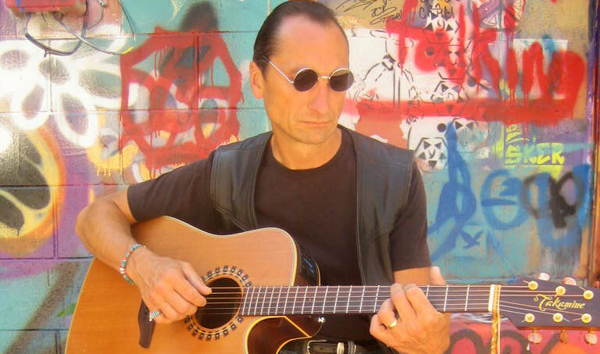 A back-to-back Nammy winner, Michael blends his vocals with a mix of contemporary folk, blues and rock with the traditional sounds of drum and flute. The balance is beautiful. And so is this track. DOWNLOAD: Michael Bucher - "Don't Forget About Me"